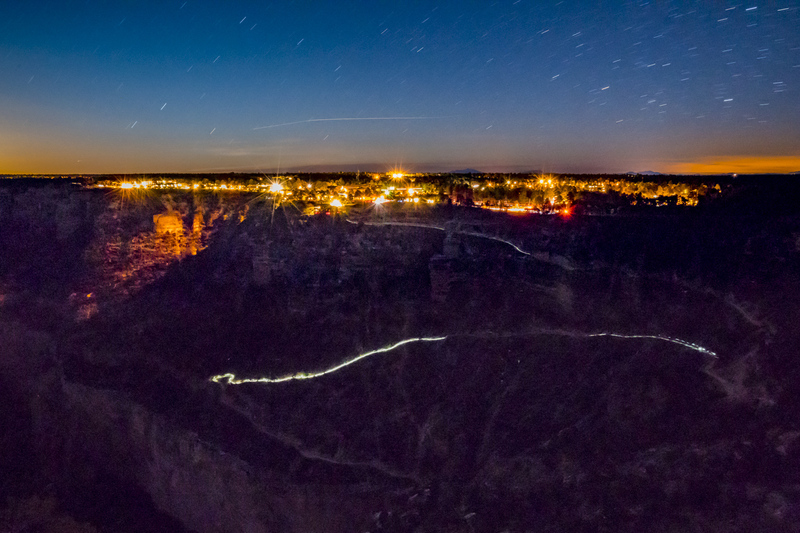 The glow of Grand Canyon South Rim with hikers coming up the Bright Angel Trail by headlamp at Dusk. The South Rim get 5.5 million visitors a year -- and growing. Fresh water is an ongoing challenge. Just behind is a proposed development -- Tusayan -- the Gateway community for Grand Canyon. All are concerned where water for new growth will come from. The park is planning to lessen its light impact soon.